The BJP is of the view that the Supreme Court should hear the Ram temple land dispute case on a daily basis to deliver an early judgement, Union Minister Prakash Javadekar said. The Ayodhya temple-mosque dispute will be taken up in the Supreme Court on January 4, court officials announced today. The top court had in October rejected an urgent hearing after the Uttar Pradesh government argued that it was a 100-year-old dispute that should be taken up on priority. The decision to move the case to January was seen by many to have dimmed hopes for a verdict before the national election next year. It triggered loud demands for an ordinance within the BJP and various groups linked to RSS (Rashtriya Swayamsevak Sangh) to pave way for the construction in the Ram temple in Ayodhya. Some 14 petitions have challenged the Allahabad High Court's 2010 verdict partitioning the land into three -- for the Sunni Waqf Board, the Nirmohi Akhara and Ram Lalla (infant Lord Ram, a party to the case). 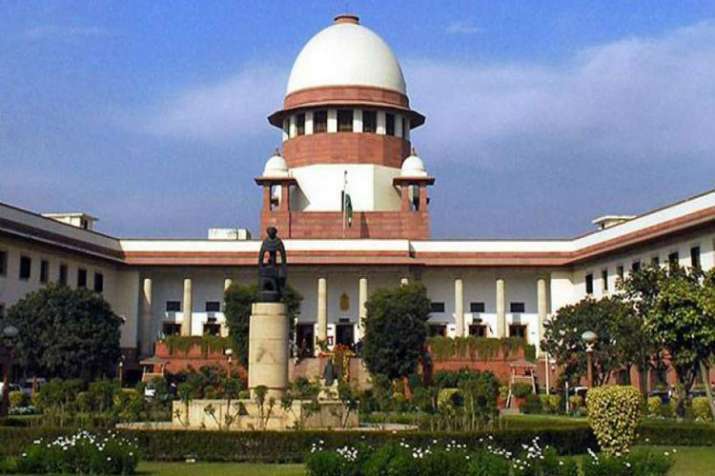 The bench of Chief Justice Ranjan Gogoi and Justice S K Kaul is likely to constitute a three-judge bench for hearing all the petitions in the case, reported news agency PTI. The BJP is of the view that the Supreme Court should hear the Ram temple land dispute case on a daily basis to deliver an early judgment, Union Minister Prakash Javadekar said today. The 16th century Babri mosque was razed in December 1992 by Hindu activists who believed it was built on the ruins of an ancient temple marking the birthplace of Lord Ram. The BJP is of the view that the Supreme Court should hear the Ram temple land dispute case on a daily basis to deliver an early judgement, Union Minister Prakash Javadekar said Monday. "Our wish is that there should be a daily hearing on that matter so that we have an early judgement," he said responding to a question on the issue. Hindutva groups have been pressing the government to bring a law to pave way for the temple's construction in Ayodhya without waiting for the court's verdict ahead of the 2019 Lok Sabha polls. Ally Shiv Sena even held a mass gathering in Ayodhya last month and often takes potshots at the BJP on the issue. The BJP has so far not made its position clear on the demand for a law. Declining an urgent hearing, the Supreme Court has fixed the politically sensitive issue for the first week of January before an "appropriate bench" and left a decision on the timeline to it. Javadekar also rejected the opposition's accusation of snooping against the government after it authorised 10 agencies to intercept any information on computers, saying there is nothing new about this as it has been happening since the Congress was in power. He also played down the efforts of Telangana Chief Minister K Chandrashekar Rao, who heads the Telangana Rashtra Samithi, to form a federal front and his meeting with West Bengal Chief Minister Mamata Banerjee regarding this. Every political party has a right to do their politics, he said, claiming that the BJP-led National Democratic Alliance (NDA) is strong and will be back in power in 2019.